Gloucestershire arguably edged the first day of their County Championship Division Two opener despite Tom Lace's impressive knock of 83 for Derbyshire. The hosts found two late wickets to leave Derbyshire on 256-7 at the close. After Lace's 83 from 127 balls, Benny Howell bowled an in-form Harvey Hosein to limit the wicketkeeper to 41. 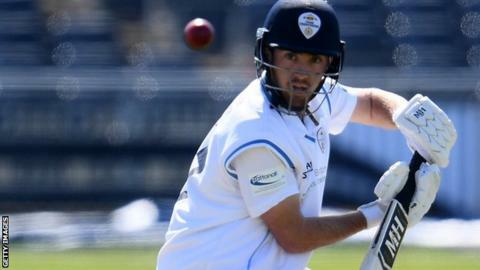 Derbyshire, who beat Durham by 125 runs in their first match of 2019 earlier in April, will resume on Friday with Anuj Dal and Logan van Beek in the middle. Matthew Critchley (39) fell in the over immediately before Hosein's dismissal, after the duo had added 71 runs for the sixth wicket, but the day's star was 20-year-old Lace. The two sides are bidding to improve on their respective fifth and seventh-placed finishes in Division Two last term.